Can a professional’s personal feelings and life experiences affect the helping process? With warmth and sensitively this important volume courageously explores this issue and focuses on the use of countertransference--the powerful linkage between a helper's personal feelings and his/her professional work. Full of thought-provoking and practical information, When Professionals Weep challenges professionals to confront and examine their own denial, grief, and anger, fears of suffering, deterioration and loss, and their needs for control, love and admiration. World-reknown contributors address such issues as how practitioners “overhelp” and “underhelp” some because of their feelings and experiences; how personal, societal and family biases can contribute to inappropriate diagnosis, referral, and treatment; why service is prolonged with some and terminated too soon with others. When Professionals Weep is an easy read—concise, clear, and captivating. Moving case studies are woven throughout and practical tools are provided for immediate use. 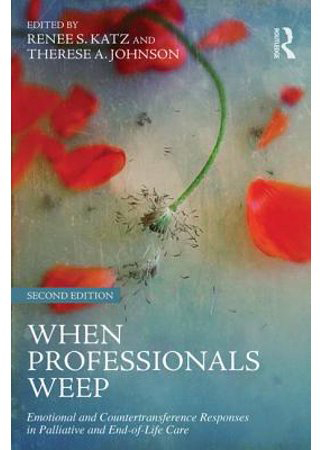 Written for practitioners in the fields of medicine, mental health, social work, nursing, the allied health sciences, psychology, and psychiatry, When Professionals Weeps is an invaluable volume for seasoned practitioner and novice, alike. In end-of-life care, professionals of all levels and disciplines are inevitably influenced by their personal feelings, socio-cultural backgrounds, biases, and beliefs. They bring with them memories and histories, which often instigate powerful emotional reactions. Whether these countertransference responses are overt or subtle, they are undoubtedly complex indications personal life experiences affect every interaction and treatment plan. When Professionals Weep compiles the work of a dynamic group of leaders who address the issues surrounding the intersection of the personal and the professional in the unique context of end-of-life care. It shows the humanness of professionals in the field, and it assures those faced with difficult decisions and touching cases that they are not alone. It demonstrates the humanness of professionals in the field who, in their attempts to provide objective, compassionate care, inevitably experience their clients and patients through the lens of their own subjectivity. This volume serves as a handbook that will prove to be invaluable to all those working, training, and supervising in the field. 1. Describe the most common emotional "hooks" when working in end of life care. 2. Identify countertransference vulnerabilities when working with the dying, bereaved and those living with life-limiting illness. 3. List personal-professional interactions that reflect three different types of countertransference. 4. Practice specific techniques to address one's own or supervisee's countertransference. PART I SPECIAL ISSUES IN END-OF-LIFE CARE ……………………. Suffering and the Caring Professional …………………………….. Survivors at the End of Life …………………………………………..
Death and Other End-of-Life Decisions ……………………………. the End of Life ………………………………………………………. Implications for Practice in End-of-Life Care ………………………. 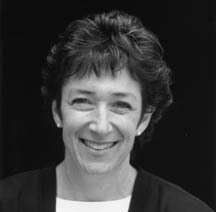 Renee S. Katz, PhD, BCD, is a Licensed Clinical Psychologist, Licensed Clinical Social Worker and Fellow in Thanatology: Death, Dying and Bereavement in private practice in Seattle. For over 25 years she has worked with the dying, bereft, and those living with life limiting illness. Dr. Katz consults, teaches and trains locally and nationally in the areas of grief and bereavement, gerontology, countertransference, and the addictions. The recipient of American Cancer Society Leadership and Program Development Awards, Dr. Katz serves on the Advisory Committee to the Ad Hoc Committee on End-of-Life Care for the American Psychological Association (APA), chairs the Ethics and Professional Standards Committee of the Association of Death Education and Counseling (ADEC) and is Co-Chair of the Washington State Psychological Association (WSPA) End-of-Life Task Force. 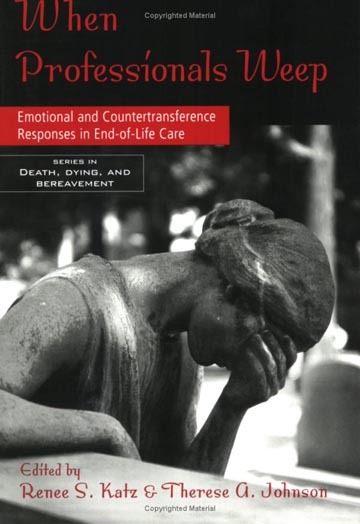 The author of many articles and chapters, Dr. Katz is co-editor of two books: Countertransference and Older Clients (SAGE Publications, l990) and When Professionals Weep: Emotional and Countertransference Responses in End-of-Life Care. 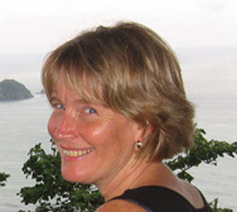 Therese A. Johnson, MA, LMHC has worked in the health care field for more than 35 years. A nationally certified counselor, Ms. Johnson provides psychotherapy and grief counseling to adolescents and adults in the Greater Seattle area. With an expertise in traumatic loss and end-of-life issues, Ms. Johnson is a popular speaker and presenter.